Islam is always in the news headlines. You may always think that Islam is understood by everyone, however the reality is totally the opposite. In this time and age, there is still a lot of misconceptions and ignorance about this religion – or rather – this way of life. We believe that the best way to remove prejuidice from society is through education. By tackling ignorance, we can work towards building a better society. Women in Islam: Beyond Stereotypes. 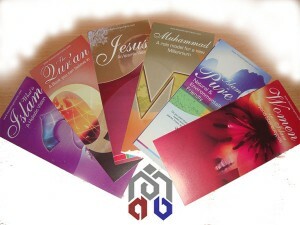 If you would like a FREE information pack, please contact us.